Thanks to absolutely everyone who helped make our annual Open Day on 22 September so fantastic!! We had an absolutely brilliant day - so many visitors, so many members and so much printing! Open Day is one of our very favourite events of the year as we get the opportunity to show off our fabulous studios and showcase the work of our members and fabulous team. It was a beautiful way to spend a Spring Saturday. This year we ran demos in Lithography, Etching, Screen Printing on paper and fabric which kept studio managers John Hart and Estelle Briedis very busy + we were also thrilled to be joined by some of our incredible members who printed up a storm. Board Member John Pratt worked on his amazing woodcuts and Surya Bajracharya and Pieta-Rae Laut were working in lithography. Peter McLean and Clare Jackson were showing off their skills in etching and relief, with Peter coordinating Print Your Own Engraving. Our International Artist-in-Residence Mehdi Darvishi from Iran joined us in the Press studio to work on his incredible Mezzotint plate and share some of his print works with all the visitors. Mehdi even took time out to visit the screen studio to pull his very first screen print! The screen studio was also jam packed with Megalo members including Marilou Chagnaud, Giancarlo Savaris and Ellen Gunner all working hard screen printing on fabric and pape. We were also thrilled to have former screen studio manager Jemima Parker back in the studios to demonstrate some CMYK printing too. Our badge maker may never have had such an intensive workout. Our smallest visitors were eager to draw their own masterpieces and have them turned into wearable works of art. It was also great to see so many people sporting their Megalo Totes. At 2pm we had drinks and nibbles as part of a closing event for the Megalo/GOST exhibition From Small Things Big Things Grow which showcased works by artists across Megalo Print Studio + Gallery and GOST Gallery in Watson concurrently. 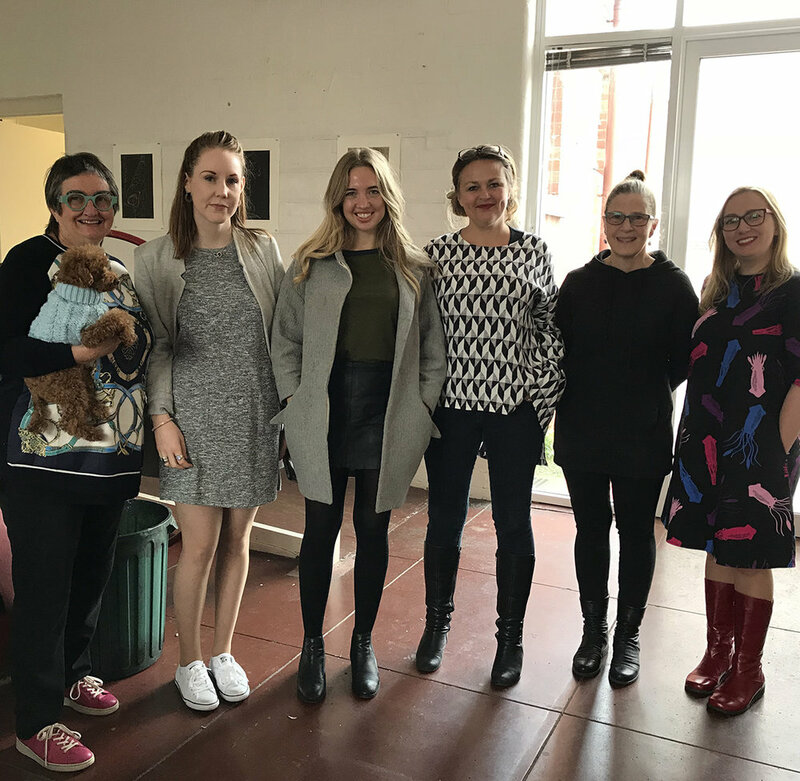 We were delighted to have some of our interstate artists turn up for Open Day + the closing event - big shout out to Pia Larsen, Nina Juniper + friends, it was great to see you!! Join us for drinks and nibbles in the Megalo Gallery with some of the artists as our joint exhibition with GOST gallery draws to a close. MEGALO DOES MELBOURNE + BENDIGO! Last month Megalo hit the road again, this time to Melbourne on a whirlwind printmaking adventure. On our list of tertiary institutions were the VCA, Monash University and RMIT workshops to explore their printmaking opportunities for students. One student from VCA, Monash University and RIMT Melbourne will each receive an emerging artist residency award from Megalo. We were fortunate to catch Stewart Russell in his Spacecraft studio for a quick chat and tour. Then we headed out to Brunswick to visit our friend Trent Walter at Negative Press who very generously showed us around his new set up. We spent some time out there in his excellent studio immersed in incredible prints. We even managed to make it to the incredible Marimekko Exhibition in Bendigo - screen print heaven! It's great to know your neighbours and this week we've been getting to know ours even better. On Tuesday we hosted Canberra Glassworks staff at Megalo for a screen printing session where they printed up a storm, creating some excellent aprons and tea towels. 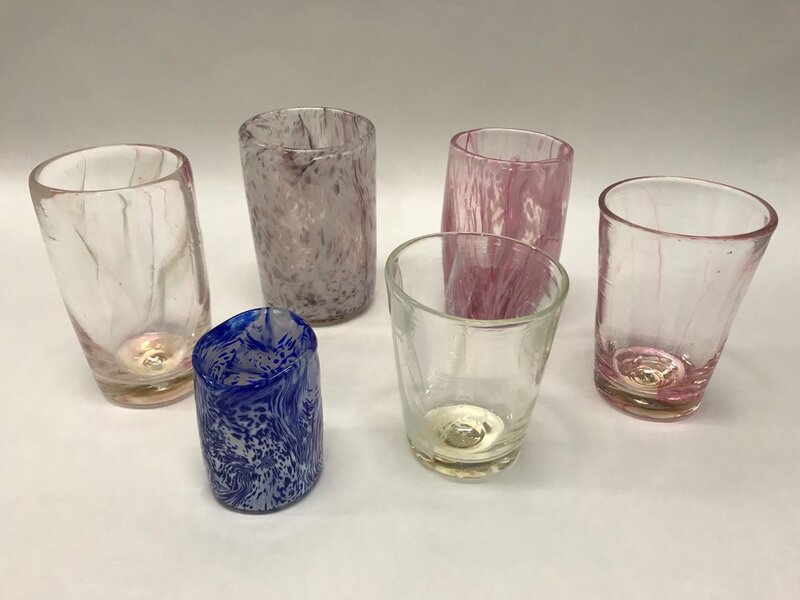 Then yesterday it was our turn when we were invited over to create these amazing tumblers! We had such a great time and enjoyed learning more about our respective skills. 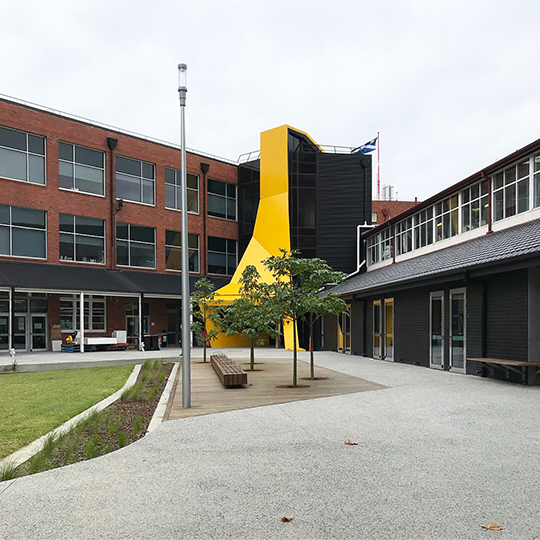 In Canberra we're very fortunate to have such excellent art making facilities located in such close proximity so keep coming out, engaging with the arts and making the most of what's here! It's really pretty special.